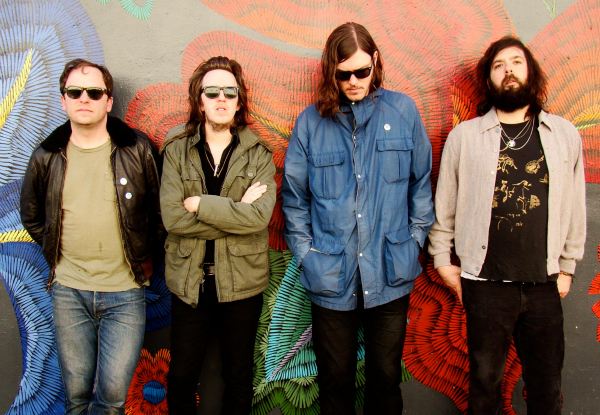 California garage rock band The Fresh & Onlys just announced their upcoming album, ‘House of Spirits,’ which comes out June 10 on Mexican Summer Records. The albums follows their 2012 debut album ‘Long Slow Dance‘ and their ‘Soothsayer EP,’ which came out last year. They have also released the first single from the album titled ‘Bells of Paonia,’ which was premiered on Pitchfork. Listen to the song below, and read the full premiere on Pitchfork’s website. Miami producer Induce (AKA Ryan Smith) dropped the video for his song ‘Ride Around‘ on Wax Poetics. The song comes from his Sunset Summer EP, which came out late 2013. Watch the video below, and check out the full premiere on Wax Poetics’ website. 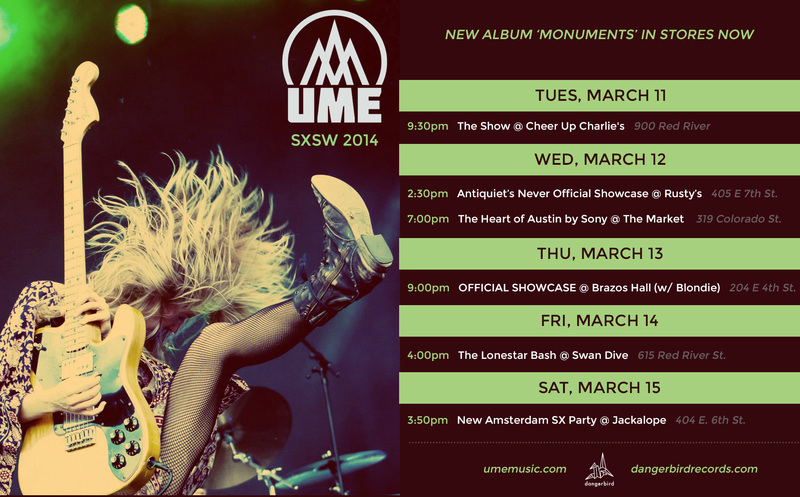 Austin trio Ume will be performing a total of six shows in their hometown for SXSW this year. They will be playing songs from their latest album, ‘Monuments,’ as well as others from their debut album. Their Official Showcase will be March 13th, 9:00PM at Brazos Hall with Blondie. Check out the flyer above for more details! 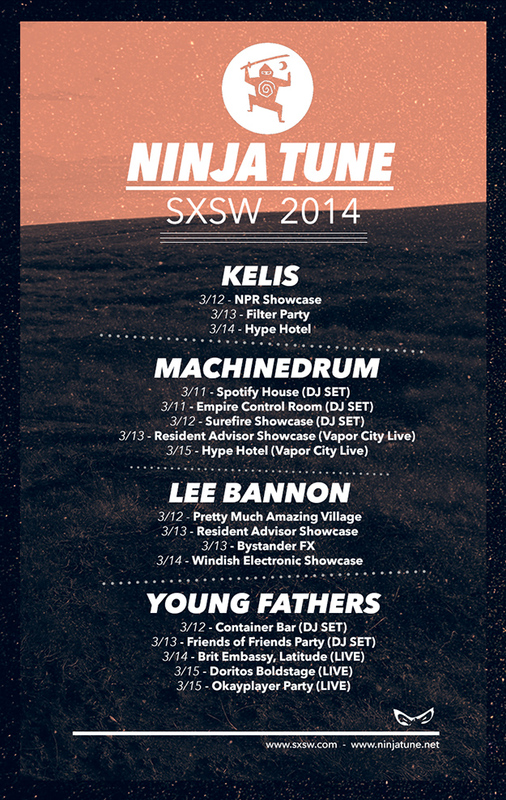 SXSW and all of Austin, TX will be in for a treat this week! 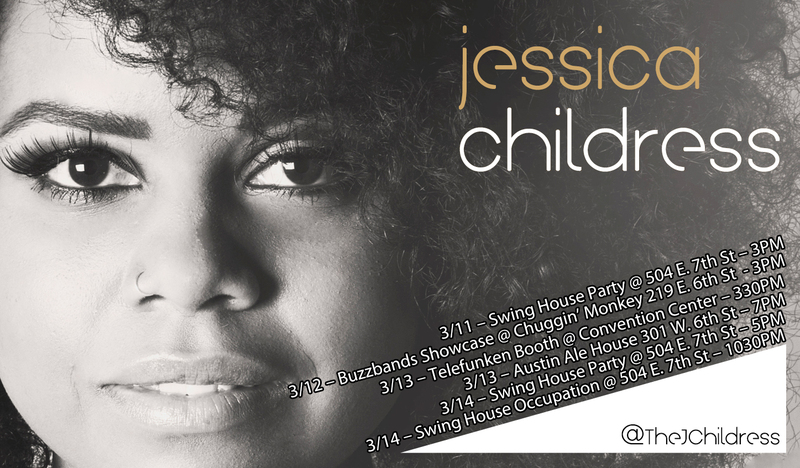 Los Angeles singer Jessica Childress will be making six appearances throughout the five day music conference. She will be performing songs from her EP ‘Don’t Forget My Name,’ and possibly brand new ones as well. See the flyer above for more details! Some of the biggest names in the music world are going to be at SXSW this week, and there will be shows you do not want to miss! Artists from labels like Ninja Tune and Big Dada will be making several appearances during the five day conference. Check out the flyer above for more details! 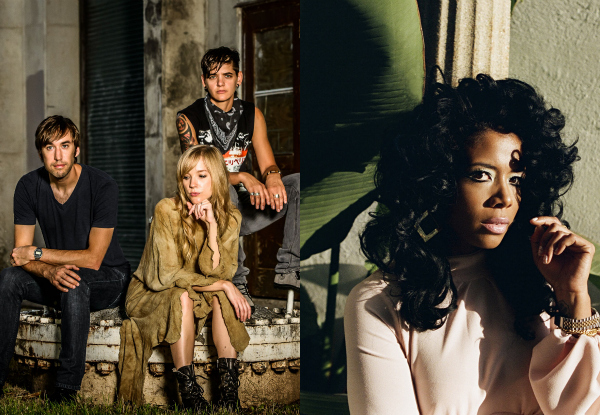 Each year, NPR picks 100 of the best finds from SXSW‘s 2000+ lineup of artists. It’s called ‘The Austin 100,’ and this years list is the best yet. 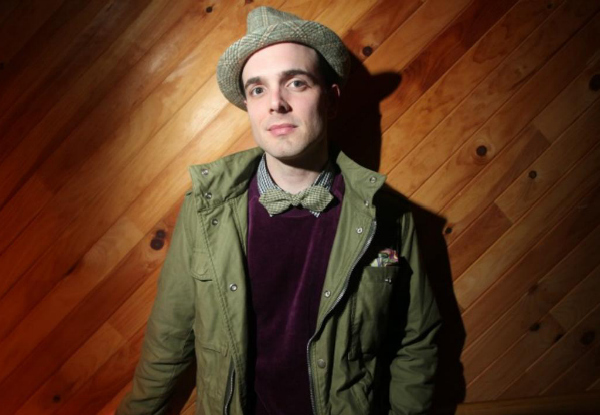 Artists such as Kelis, Quilt, Fat Tony, and Hundred Waters all appear, as well as many others that were handpicked by NPR Music professionals. You can download the entire list for free on NPR’s website. 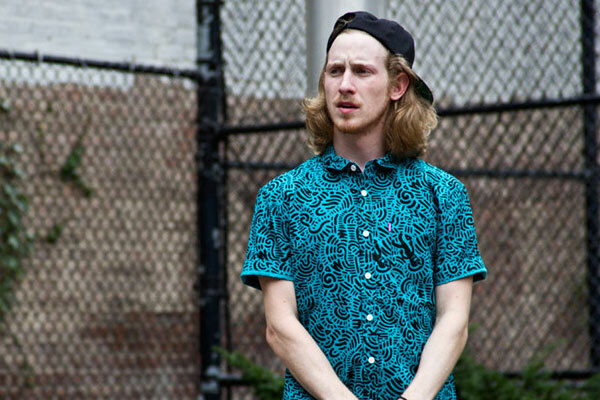 It has been a half-decade since the release of Asher Roth‘s 2009 debut album ‘Asleep In The Bread Aisle,’ and the Pennsylvania rapper has finally announced his sophomore LP ‘RetroHash.’ The album is due out on April 22, and the first single ‘Tangerine Girl‘ can be heard below. Check out the full interview and premiere on Billboard.